Ackerman journeys in search of monarch butterflies and short-tailed albatrosses, monk seals and golden lion tamarin monkeys: the world's rarest creatures and their vanishing habitats. 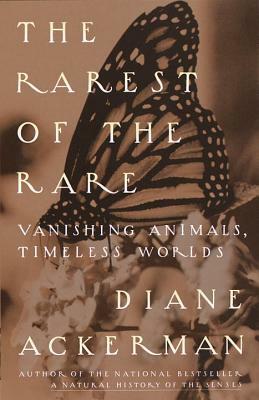 She delivers a rapturous celebration of other species that is also a warning to our own. Traveling from the Amazon rain forest to a forbidding island off the coast of Japan, enduring everything from broken ribs to a beating by an irate seal, Ackerman reveals her subjects in all their splendid particularity. She shows us how they feed, mate, and migrate. She eavesdrops on their class and courtship dances. She pays tribute to the men and women hwo have deoted their lives to saving them.